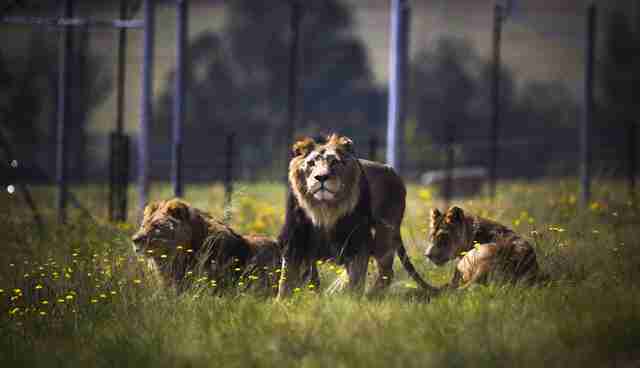 After a lifetime in captivity, six rescued lions are finally tasting freedom. 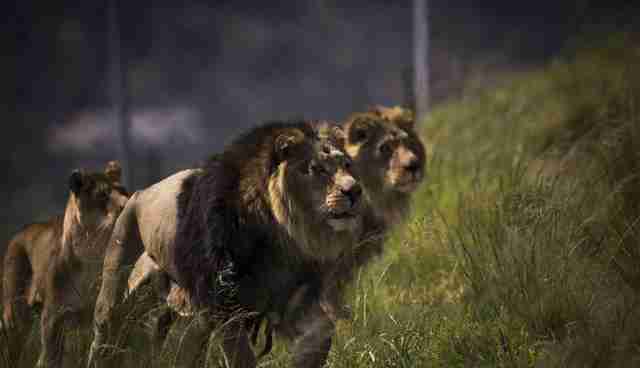 Five of the lions were rescued from the Baia Mare Zoo in Romania, which was closed down two years ago when it couldn't meet the European Union's standards for keeping wild animals. 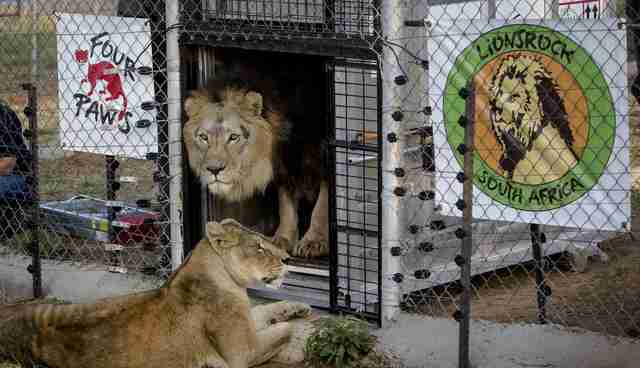 The lions were left behind after the closure, stranded in their cold and barren cages - with absolutely nowhere to go. They were eventually transferred to a repurposed farm, but their living conditions were still woefully inadequate: They were trapped in a small concrete cell next to a dump. But the vet who stepped in to care for them refused to give up on them, knowing Romania was overloaded with unwanted circus lions and they could easily be killed. Fortunately, he reached out to Four Paws International, which spent several months trying to negotiate a better living situation for the abandoned cats. Their hard work paid off. 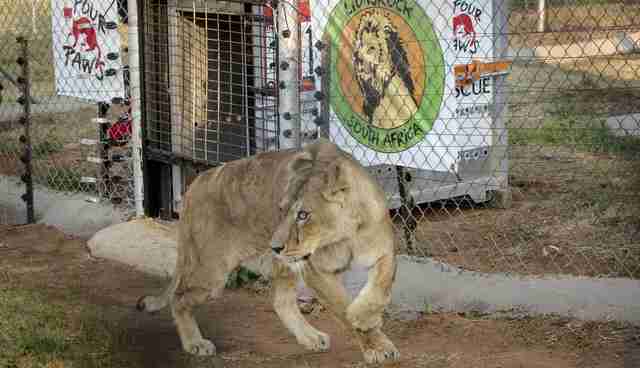 Last Wednesday, Four Paws finally began the huge task of transferring the five zoo lions - along with a male who was rescued from life as a performing animal - from Europe to their new home at Four Paw's Lionsrock Big Cat Sanctuary in South Africa. The payoff was beyond worth it. A video detailing the days-long rescue effort captures the first moments the lions step into a new and kinder life - they lovingly greet each other after being released from their traveling crates, overjoyed to see each other again after the long journey. 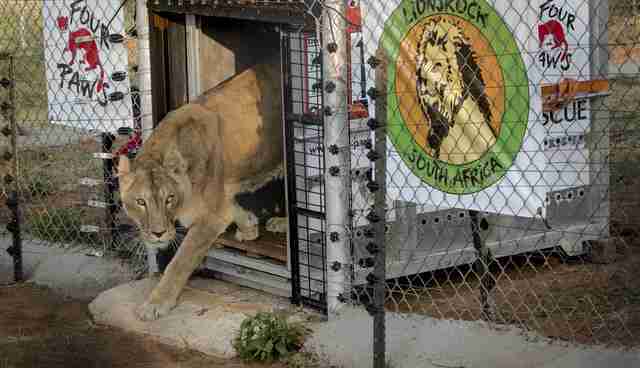 Though wary, there's undeniable excitement as the lions take their first halting steps into their enclosure at Lionsrock. For the first time, they're able to to feel the grass beneath their feet and enjoy the sunny climate of their native home. Many of them bear the marks of their former lives in the form of blind eyes or dark scars. 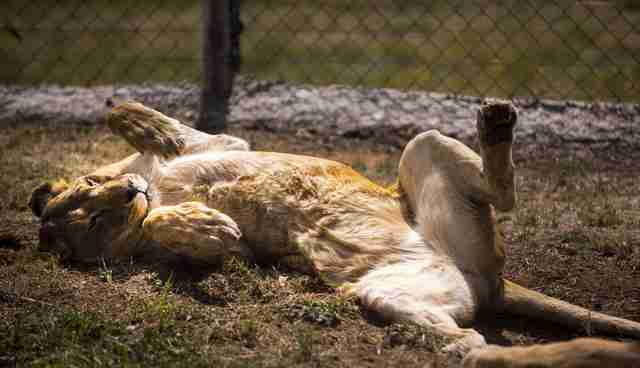 In one touching scene, a lioness can't contain her joy as she soaks up the sun, yawning and rolling around on her back in the newly discovered grass. 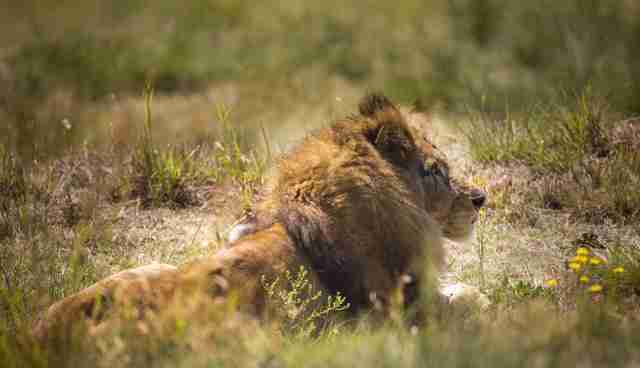 Though the cats will never be able to live in the wild, Lionsrock will offer the next best thing. 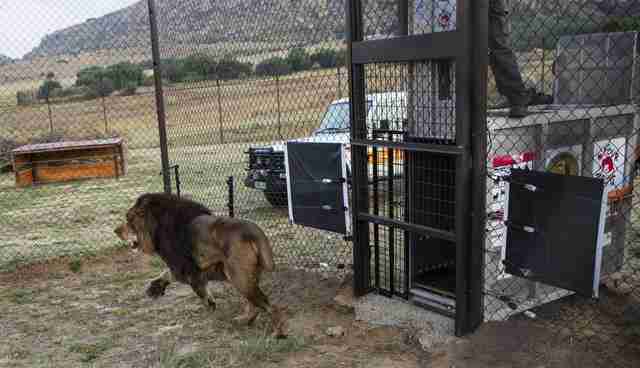 With large enclosures to run in for the first time in their life, the lions can finally have a taste of the freedom they should have been born into. 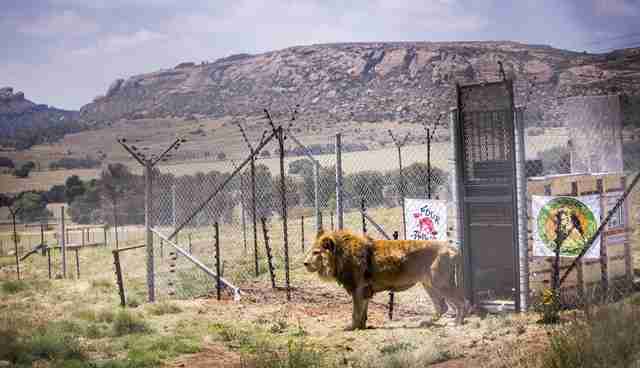 Unfortunately, it's the least they deserve after their combined decades spent in barren cells - each of the six rescued lions has a story highlighting the sad fate that awaits many captive-born big cats. 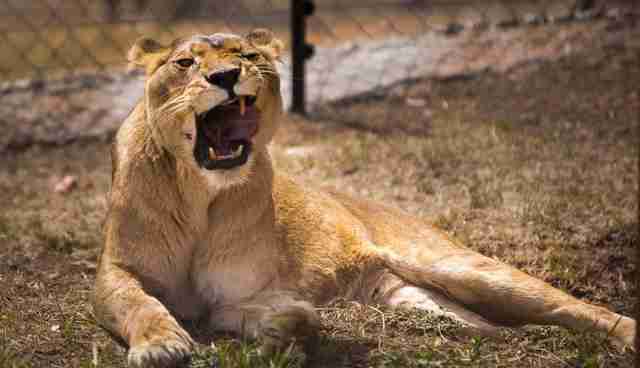 The three original zoo lions, Petricia, Lavinia and Lidia, who are each 15 years old, were born into captivity and trained to star in a Romanian circus. But Petricia - who was "stressed by the harsh training," according to Four Paws - turned on his trainer and attacked him. 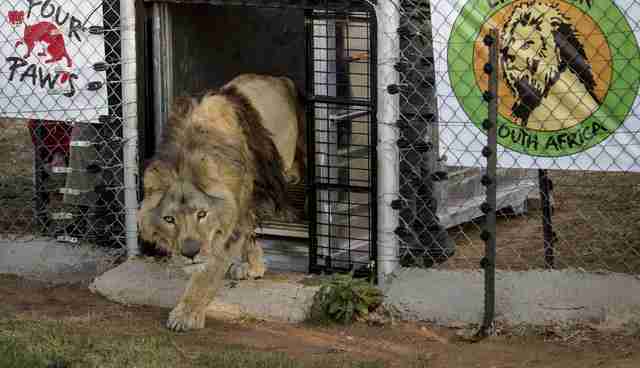 The lions were shipped off to the Baia Mare Zoo, where they languished for the next 13 years in barren concrete cells. 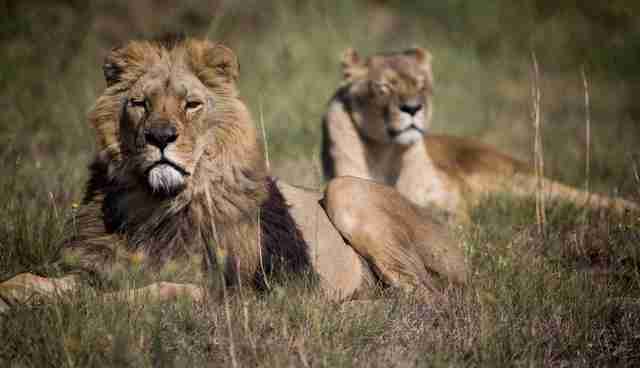 In 2003, Lavinia gave birth to two cubs, Tarhon Big and Marin, who'd never known life outside the zoo. 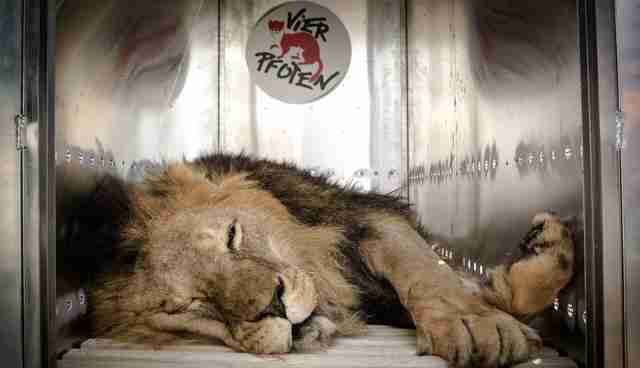 Giovanni, the lion who was transferred with them, spent his youth being peddled out to tourists on an Italian beach. When he grew too old for people to pay to take photos and cuddle with him, he was forced to perform in a show, where he lost his tail in an accident. 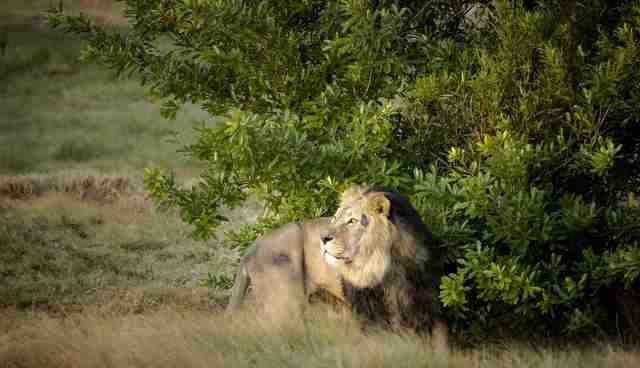 Though lions are highly social, he's lived a solitary life and has never been kept with a female. Unfortunately they're not alone. 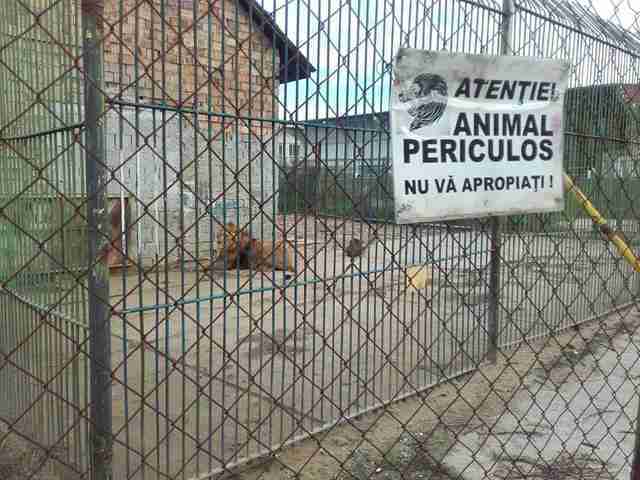 Four Paws reports that 175 big cats are still living in zoos in Romania, 24 of them at zoos that have lost their authorization for failing to meet welfare regulations. "Most of these zoos have very bad keeping conditions, with small enclosures, lacking specialized medical care and proper food," Ioana Dungler, director of wild animals for Four Paws, said in a statement. Four Paws will continue to work toward welfare improvements for these animals, and the group plans to spend the next year introducing a reproduction control program to Romanian zoos with the help of government officials. But for the immediate future, they're focused on making sure this lucky group of lions gets to spend their retirement in peace. "You leave behind suffering, iron bars, dirt and concrete," the group wrote in a Facebook post about the relocation. "This is how your life will be now until your last breath. This is how your life should have been since your very first breath. Welcome home!" 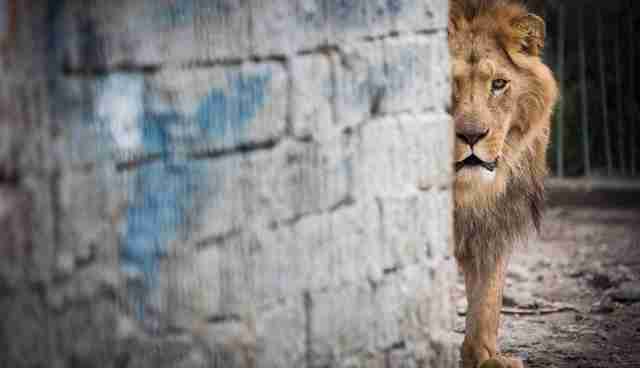 While all the lions deserve a happy future after their long lives behind bars, Giovanni in particular might have a pleasant surprise ahead. 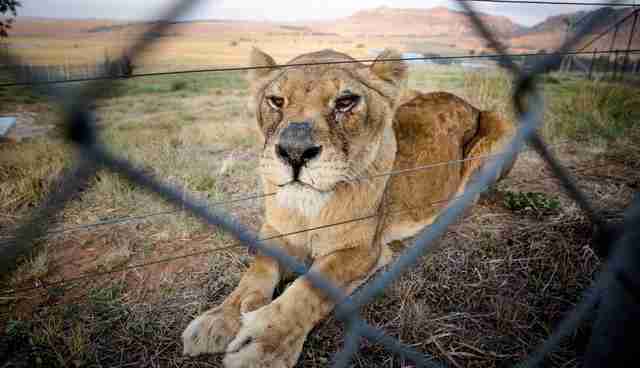 "Giovanni was kept alone all his life" Hildegard Pirker, head of animal welfare at Lionsrock, said in a statement. "Once he is well adapted in his new home, we might try to socialize him with an appropriate female partner." 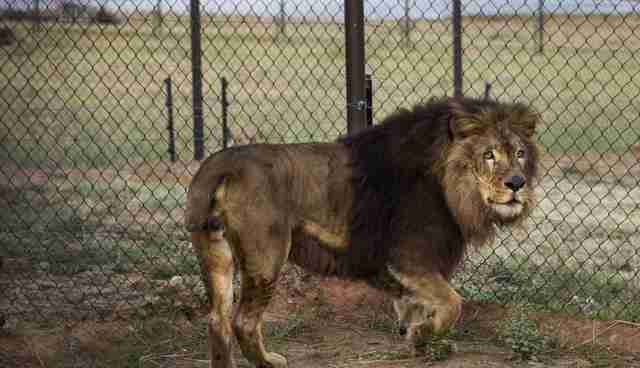 If you'd like to contribute to Four Paws and help them care for these lions and the many other animals they rescue, you can make a donation through the group's website.